According to the National Center for Public Policy and Higher Education (and many others) the higher education system in the United States is already out of financial reach for many in our society. 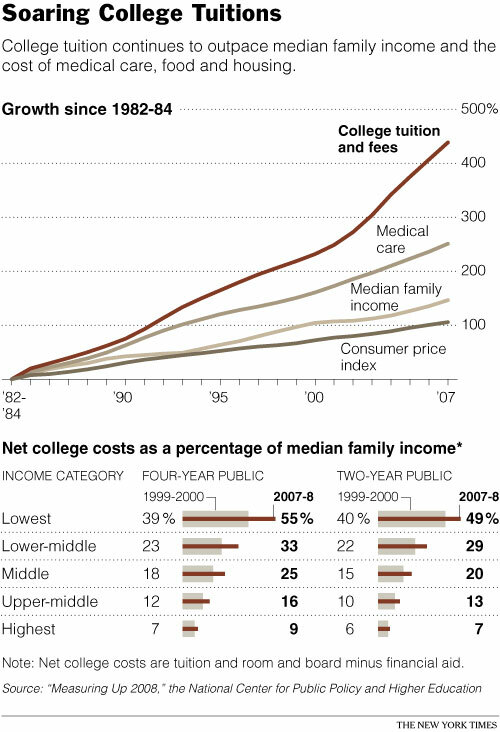 Taking on debilitating debt is the primary way (if not the only way) to fund college for most families. But not so fast my friends! Along comes Gallup and SallieMae with their “How America Pays for College 2009” study reporting that 58% of American families paid for college last year without borrowing a dime! Interesting. So, if you wonder why college costs continue to soar, it may just be because the marketplace still has the capacity to absorb those annual tuition increases.